If you use Windows 8 on a daily basis, TNW has good news for you: Microsoft has announced and released – for some – a set of updates for the operating system today that should at once make it more usable, and longer lasting in a mobile environment. In a blog post out this morning, the company’s Steven Sinofsky stated that Microsoft has managed “to deliver these ‘post-RTM’ updates sooner than a [traditional] service pack.” In short, this set of upgrades is out more quickly than we might have expected. That’s good, really, as Windows 8’s flat RTM is a touch buggy and jumpy in normal use. The upgrade is officially known as the ‘Windows 8 Client and Windows Server 2012 General Availability Cumulative Update.’ Microsoft describes it as providing a ‘collection’ of improvements to both the ‘performance and reliability’ of Windows 8. As stated before, the fixes are not too early. TNW’s own Brad McCarty recently dove head first into the Windows 8 waters, only to bang his head against a rock; the learning curve matched with app issues led to a fair slice of frustration. The Cumulative Update should fix, hopefully, some of the issues that Brad highlighted. 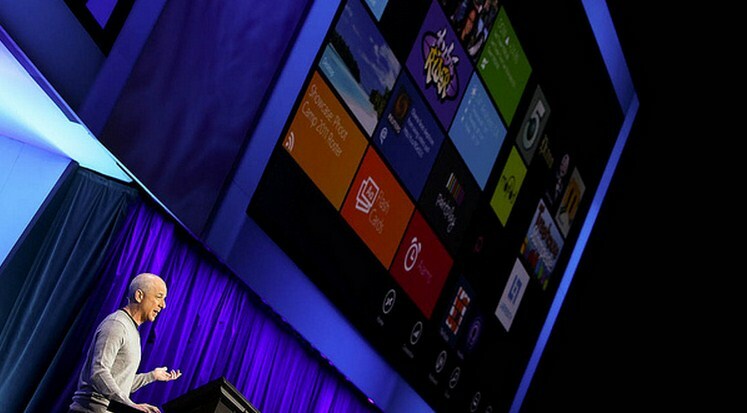 Windows 8 will roar to life in 16 days. It’s go time.